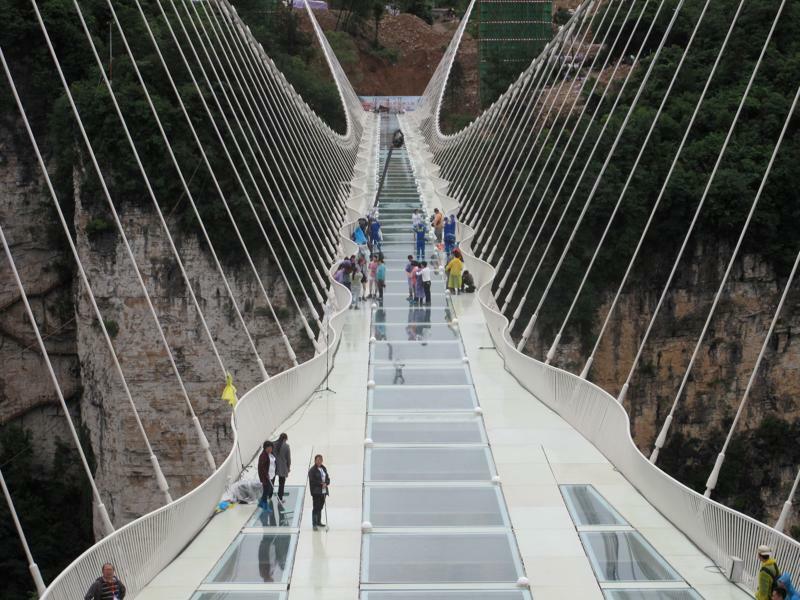 Chinese officials successfully drove a two-tonne truck onto the world's longest and highest glass bridge in central Hunan province on Monday to conduct a safety test ahead of its scheduled opening in July. 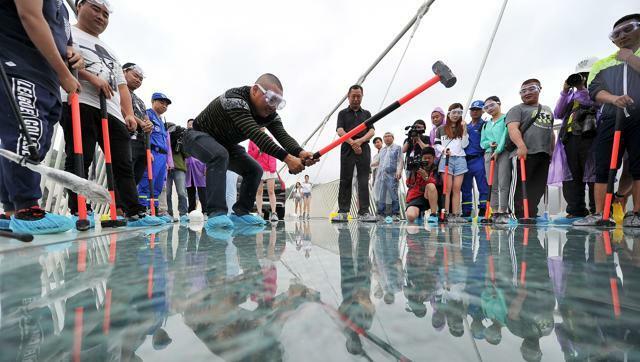 To further convince the public of the sturdiness of the 430-meter bridge tucked between two steep cliffs at Zhangjiajie which is 300 meters above the ground, 20 volunteers used hammers to try to smash the glass. 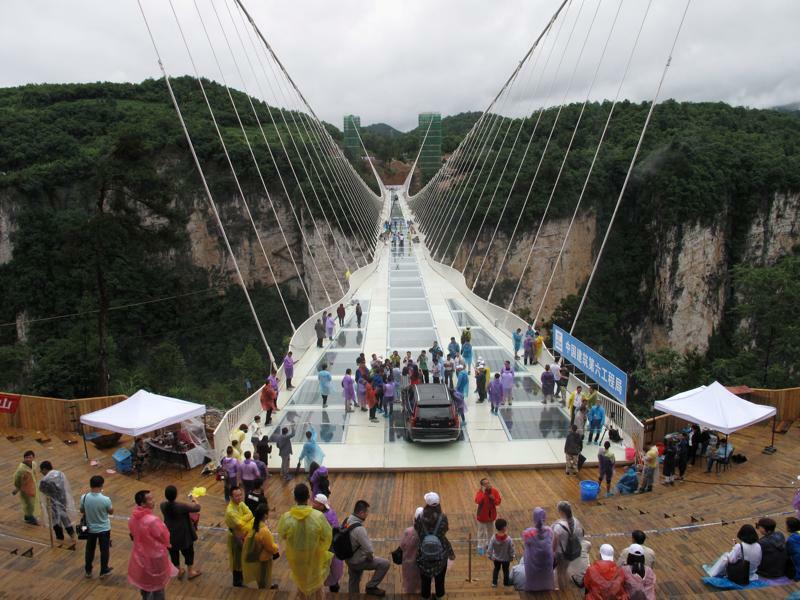 An all-terrain vehicle then carried 11 volunteers across the cracking glass. 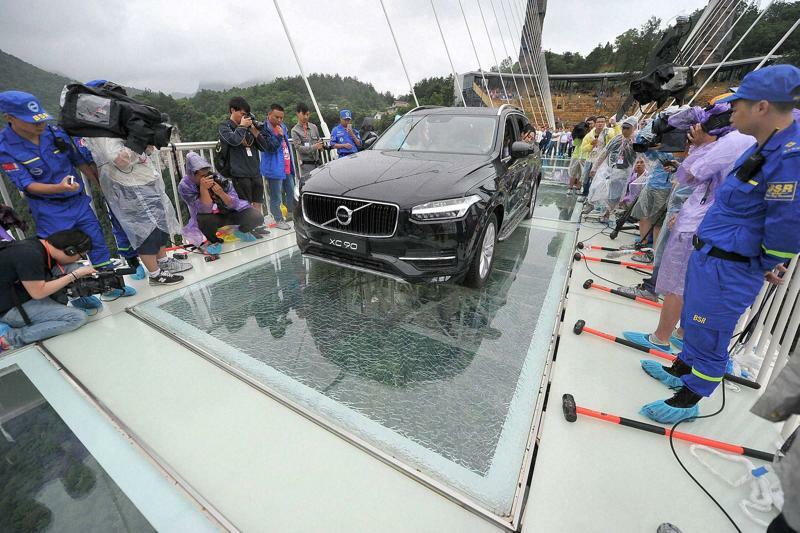 Another team of 10 volunteers then tried again to smash the glass. 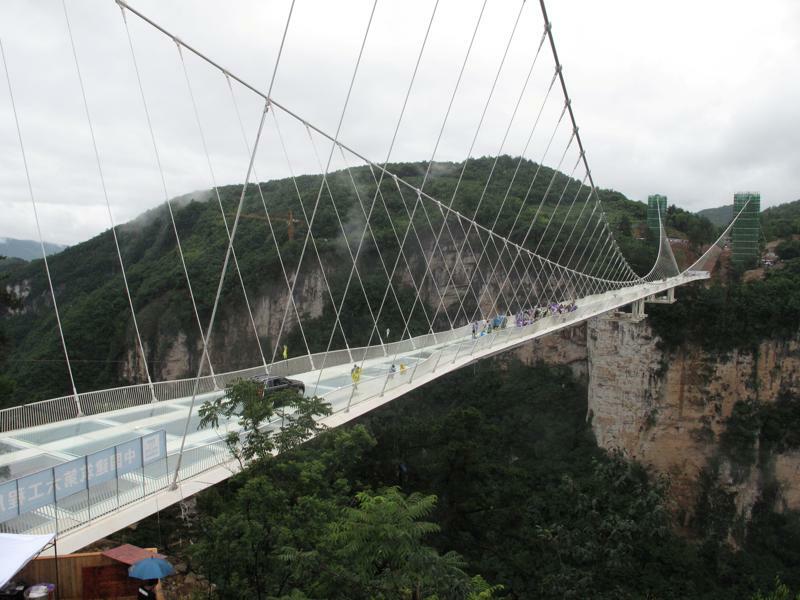 Despite some fractures on the surface, the glass did not break, state-run Xinhua news agency reported.